The turtle mold has lots of friends hiding under its shell . 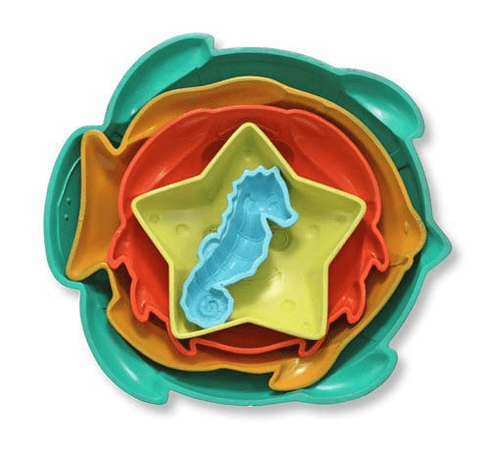 . . a fish, a crab, a starfish and a seahorse! This set provides hours of sand molding fun in the sandbox or at the beach and quick clean up, as all the molds store neatly in their turtle "shell."